This project is about helping to keep older people mobile and safe for as long as possible. It is well-documented that in the UK we live in an ageing society. People on average are living longer than used to be the case only a few generations ago. At the time of this study, the number of men and women over the age of 70 who hold a full valid driving licence had recently exceeded the four million mark. 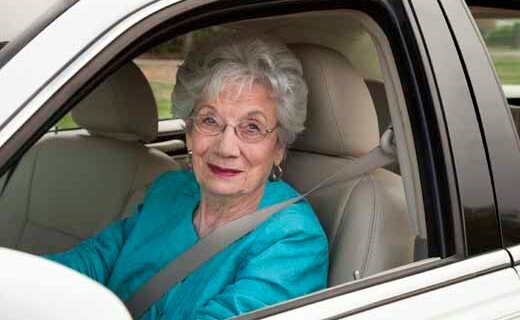 Although not all licence holders will be active drivers, this indicates that the number of older drivers on our roads is increasing. Beyond the age of 70, drivers need only to self-declare that they are still fit to drive in order to renew their licence for another three years. There is no formal medical or driving test. The aim of this project is to provide older road users and their families with advice and guidance to help them to stay mobile, safely, for longer and to make safe decisions when it comes to driving. Research was conducted in May 2013 and the report published in September 2013. The full report can be viewed here. Driving safely for life was produced by Rica – a national research charity providing information to older and disabled consumers – with funding from the RAC Foundation, the DfT and the Rees Jeffreys Road Fund.